Bursting with life and humor, Forest Dark is a profound, mesmerizing novel of metamorphosis and self-realizationof looking beyond all that is visible towards the infinite. "One of America's most important novelists" (New York Times), the award-winning, New York Times bestselling author of The History of Love, conjures an achingly beautiful and breathtakingly original novel about personal transformation that interweaves the stories of two disparate individualsan older lawyer and a young novelistwhose transcendental search leads them to the same Israeli desert. Jules Epstein, a man whose drive, avidity, and outsized personality have, for sixty-eight years, been a force to be reckoned with, is undergoing a metamorphosis. In the wake of his parents' deaths, his divorce from his wife of more than thirty years, and his retirement from the New York legal firm where he was a partner, he's felt an irresistible need to give away his possessions, alarming his children and perplexing the executor of his estate. With the last of his wealth, he travels to Israel, with a nebulous plan to do something to honor his parents. In Tel Aviv, he is sidetracked by a charismatic American rabbi planning a reunion for the descendants of King David who insists that Epstein is part of that storied dynastic line. He also meets the rabbi's beautiful daughter who convinces Epstein to become involved in her own projecta film about the life of David being shot in the desertwith life-changing consequences. But Epstein isn't the only seeker embarking on a metaphysical journey that dissolves his sense of self, place, and history. Leaving her family in Brooklyn, a young, well-known novelist arrives at the Tel Aviv Hilton where she has stayed every year since birth. Troubled by writer's block and a failing marriage, she hopes that the hotel can unlock a dimension of realityand her own perception of lifethat has been closed off to her. But when she meets a retired literature professor who proposes a project she can't turn down, she's drawn into a mystery that alters her life in ways she could never have imagined. The expulsion from Paradise is in its main significance eternal. Consequently the expulsion from Paradise is final, and life in this world irrevocable, but the eternal nature of the process makes it nevertheless possible that not only could we remain forever in Paradise, but that we are currently there in actual fact, no matter whether we know it here or not. ...the narrative here (with a few exceptions) is highly readable and understandable, and even lyrical and humorous at turns. Forest Dark is so forceful and gripping that I simply gobbled it up from start to finish. Of course, I am probably the perfect target audience for this novel: I am Jewish, know Israel intimately, and am not afraid of being challenged by what could be considered absurd or fantastic. But even for the wider reading public, this is a five-star read. (Reviewed by Davida Chazan). An ambitiously high-concept tale that mainly idles in a contemplative register. Starred Review. Krauss's elegant, provocative, and mesmerizing novel is her best yet. Rich in profound insights and emotional resonance...Vivid, intelligent, and often humorous, this novel is a fascinating tour de force. Starred Review. Wildly imaginative, darkly humorous and deeply personal, this novel seems to question the very nature of time and space. Krauss commands our attention, and serious readers will applaud. Starred Review. Entrancing and mysterious…Krauss reflects with singing emotion and sagacity on Jewish history; war; the ancient, plundered forests of the Middle East; and the paradoxes of being. A resounding look at the enigmas of the self and the persistence of the past. While reading Nicole Krauss' novel Forest Dark, it occurred to me that although most lovers of literature know the name Franz Kafka, many might not realize that Kafka's rise to fame came mostly posthumously. Furthermore, even fewer people may know much about the court battle over his papers that finally reached its conclusion in 2016. 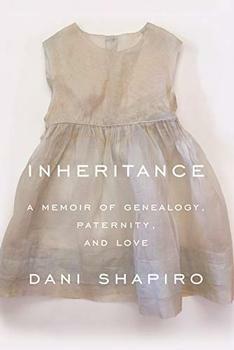 A new memoir about identity, paternity, and family secrets--a real-time exploration of the staggering discovery Shapiro recently made about her father, and her struggle to piece together the hidden story of her own life.